Colorful 1st Birthday Cake Gummy Bears, a photo by CAKE Amsterdam - Cakes by ZOBOT on Flickr. 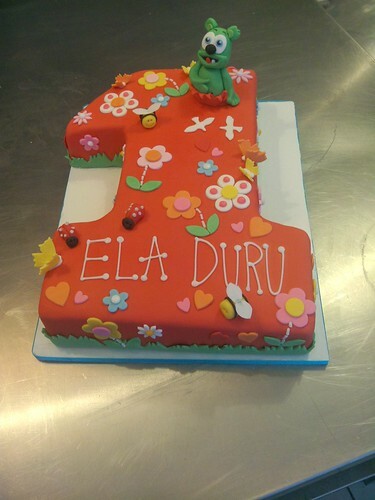 Colorful 1st birthday Cake for Ela Duru! FLAVOR : Cinnamon Spiced Vanilla Cake with Hazelnut chocolate silky buttercream and raspberries.